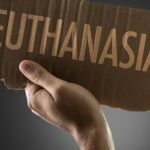 The Northern Territory and ACT may soon have control over their euthanasia laws, after a motion was recently introduced in the Federal Senate. The motion, brought by Liberal Democrats senator David Leyonhjelm, would see territory governments free to legislate on euthanasia, rather than being vetoed by the Federal government. “My bill addresses two issues: territory rights, and the right to die. I am a firm believer in both,” Mr Layonhelm remarked. The Restoring Territory Rights (Assisted Suicide Legislation) Bill will be debated from 14 August 2018, and a free vote will follow. If passed, the process will be repeated in the House of Representatives. In 1995, the Northern Territory became the first Australian jurisdiction to legalise euthanasia. A nine-day cooling off period had elapsed after the paperwork was completed. 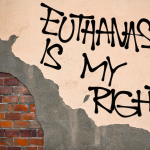 After two years of operation, the Federal government passed legislation prohibiting the territories from legalising euthanasia – which effectively voided the NT Act. Only four people were able to use the laws to exercise their choice to die with dignity, avoiding an inevitably slow and painful demise. Victoria has now passed voluntary euthanasia legislation, giving terminally ill patients the right to request life-ending drugs from mid-2019. Under the legislation, Victorians with a terminal illness will be able to obtain a lethal drug within 10 days of completing a three-step process, involving two independent medical assessments. 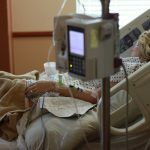 The patient will need to administer the drug themselves, but a doctor will be permitted to deliver the lethal dose in rare cases where the patient is physically unable to do so. Patients must be over the age of 18, of sound mind, have lived in Victoria for at least 12 months and be suffering in a way that “cannot be relieved in a manner the person deems tolerable”. In light of the Victorian legislation, NT chief minister Michael Gunner argues there is no longer a valid reason for federal intervention. Mr Gunner has called on Prime Minister Malcolm Turnbull to “alter” the government’s position and allow the NT to legislate in its own interests. 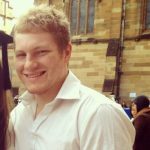 “It’s not about the Northern Territory, it is about assisted suicide. I don’t think the government should take on the authority or the power to tell people that you can’t die”. According to the Senator, the current situation whereby states can legislate on issues where the territories cannot represents a “nonsensical law based on the tenet that some Australians are entitled to more democracy than others”. Liberal senator Eric Abetz disagrees with the proposed laws, arguing that legalising euthanasia reduces the value placed on human life. Last year, a voluntary euthanasia bill introduced by NSW Nationals MP Trevor Khan failed by a single vote. 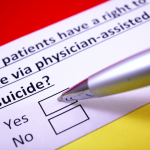 Members of NSW parliament were allowed a conscience vote on the legislation, which would have allowed terminally ill patients over the age of 25 to end their own lives with the help of doctors. 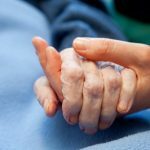 The bill failed despite a poll which suggested that 70 percent of NSW voters support changing the law to allow voluntary euthanasia for terminally ill people. About 18 per cent of participants said they were undecided on the question, and 13 per cent were opposed or strongly opposed. When broken down to preferred political parties, more than 87 per cent of Nationals voter, 73 per cent of Labor voters and 61 per cent of Liberal voters supported such legislation. However, it seems conservative politicians feel their beliefs are more important than those of the general population; and that terminally ill adults in our state will continue to be denied the ability to choose to die with dignity – after all, politicians know best.